The Elegant Life: Spring Finds At Lakeside! After a successful trip to Lakeside Village I was very pleasantly surprised at the range of shops for women and men with a good variation of beauty, body and home shops, there's undoubtedly something for everyone. Situated in Doncaster just off the motorway it's easy to find and lots of parking facilities. In addition to its good location and plentiful shops, it has fun family facilities also with play areas that make shopping that little bit more desirable for the kids! The staff are very helpful and friendly and that's always what makes shopping in Yorkshire more enjoyable, but they were very attentive; making the trip even more of a pleasure! At Lakeside you can find upto 60% off RRP which is just amazing; a little sneak peak favourite was the Lipsy section in Next! Reduced from £68 to £19. Absolute gem of a find and fits like a glove! Thankfully, it's not a vast place, so you're not likely to get lost or walk back on yourself, it's laid out well, everything is easily accessible, with coffee shops are dotted around for tea breaks, which is always welcoming! Visit as a half day trip or a full day trip, by popping over to one of the local eating places nearby (Pizza Hut, Beefeater and more). With many huge reductions in shops, the outlet still features hot in season trends and I was overjoyed at the amount of spring and summer collections that were ideal for parties, functions and even work. There's truly no limit, with my favourites being Klass, Roman and Next (featuring Lipsy items), but there's also a big M&S outlet which had a perfect choice of office attire or formal wear at good prices, choose some pastel shades for your jumpers or why not pick out a warm cosy cardigan as I always find cardigans to be the perfect winter to spring companion. However my mission was colour! Playing with colour is by far my mission of 2018 so when some beautiful blue trousers were sat on the rack at M&S, I just had to pick them up! Fit neatly and looked perfect for those spring evenings when you go out for a glass of vino! I paired it up with a blue top, with a shoulder cutout just to make it a little less formal and it was a lovely match. Smart but classy and classy but fun. It would also be my choice for a Sunday lunch outfit after a spot of shopping - thoroughly impressed with the choices of colour at Lakeside! Next I popped into Roman. I've loved Roman for a while for its quality and diverse styles. Always something different and lots of lovely colourful items. I found a lot of wedding inspired outfits which was lovely and my top pick was this beautiful green dress. 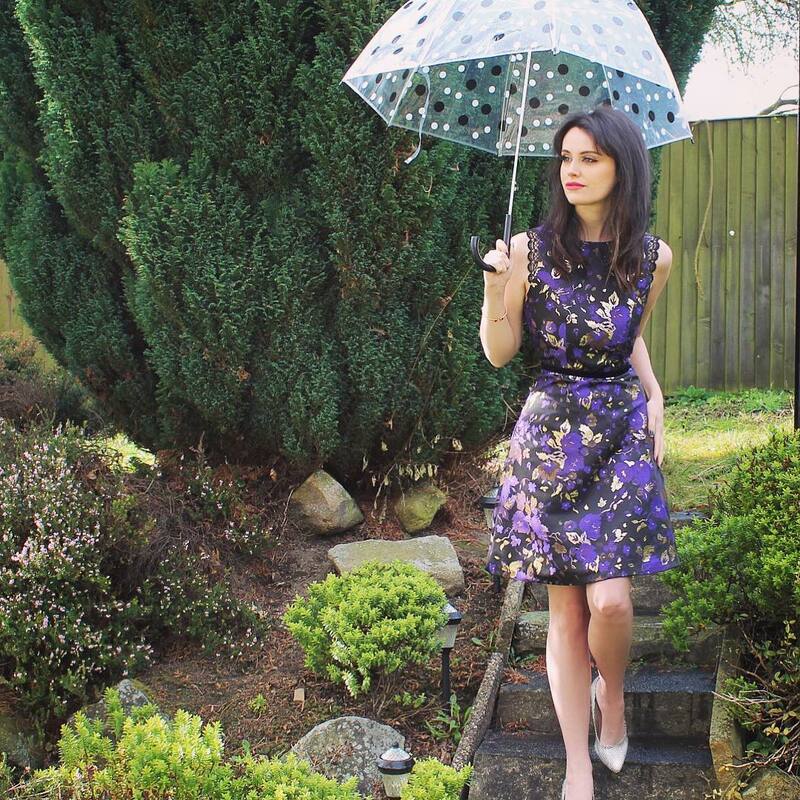 It felt like a perfect garden party dress, smart and dressy but still modest! Paired with some white shoes this could be a showstopper and I was really impressed. Next up was Klass. This is a shop I hadn't really been into before or seen before but I was glad that I found it here at Lakeside because there were, again, some beautiful spring/summer dresses! This dreamy lilac dress had to be my winner! With a pair of heels this could be a perfect day time or evening dress! It was incredibly floaty and fit well. There were plenty of options in Klass for all occasions but I was blown away by the dresses and nearly all under £50. It's brilliant when you can dress to impress and the price tag is good value! Dressing with class on a budget is always my aim. Next stop was a shop that drew my attention because of the window, but a shop that I had always associated with the mature lady. Nevertheless, I did have a spy in Bon Marche, and found this gorgeous white summery top and a floaty flowery dress (seems to be the theme for me lately). 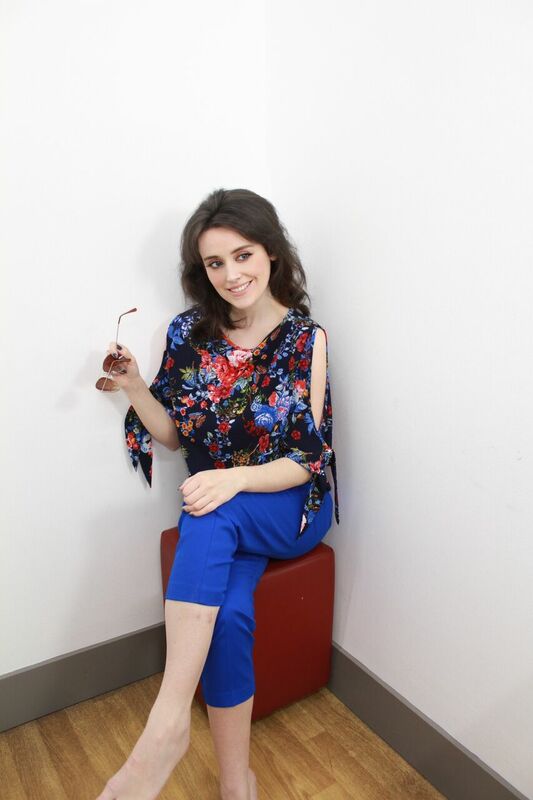 You can grab this lovely outfit for under £45 and throw over a white blazer and you're good to go in this cooler spring weather! I was then on the hunt for some accessories, and where better to look than in some of the shoe shops that Lakeside has to offer. Firstly I found this beautiful bag that I fell in love with from Clarks. It was the perfect spring bag, and the choice of colours were: green, pink, yellow but the green looked so classic and I felt would go with a lot of outfits. With the gold chain it gives it the added touch of style, and its texture was soft yet still durable and for the money it is a total steal! I could not pick anything up for this quality and price on the high street so easily! Shoes shoes shoes! 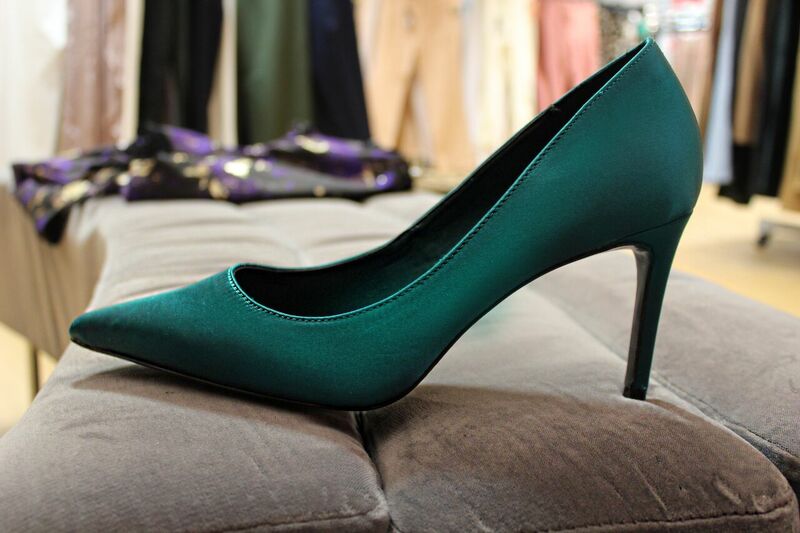 No shopping trip is complete without a pair of shoes, and Next had some incredible bargains. I was really impressed at the choices, they were very diverse. From heels, to boots and sandals, to espadrilles, there was something for everyone without a doubt. Although who can resist a beautiful pair of heels? Perfect shape, perfect colour and that gorgeous silky texture that just looks divine! Sadly, they were out of my size, but it was still worth a try on and a lust over...highly impressed with everything in Next and because they don't have changing rooms, you can be accepted for a full refund of any sale item within fourteen days which is very fair. 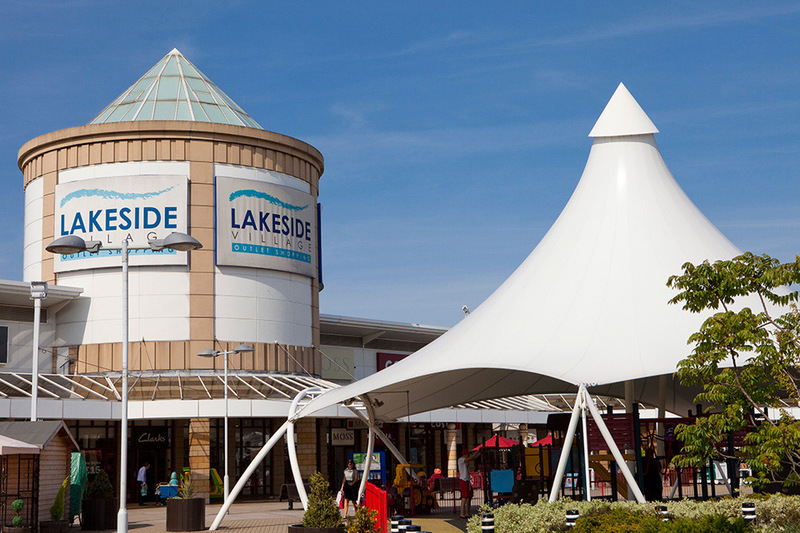 Lakeside overall is a really good place to come for some great deals on clothing items that are still in fashion and still on trend, they cater for women and men, even children, and it was such a nice surprise to find a new shopping centre within Yorkshire that incorporates so much! So make your next shopping trip a stop to Lakeside! For a full list of all the stores, from home, to body and beauty, click here. Also be sure to follow them on social media for all the latest gossip, trends and deals!